As the clock ticks down to the May 22 date of The Sun Publishing Limited’s seminar aimed at galvanising support for the World Cup-bound Super Eagles, one of the key actors of the event, Mallam Nasir Danladi Bako has expressed deep appreciation to the gesture of the publishing house in organising the seminar. Holding in Port Harcourt, incidentally, the city where the Super Eagles began their home campaign for Russia 2018, the event will assemble technocrats, administrators, football enthusiasts, former national team players and other stakeholders in the project aimed at propelling the Nigerian team to scale previous barriers. Super Eagles players looking dejected after another Round of 16 ouster at Brazil 2014. The Sun Publishing Limited is urging the team to soar higher this time. The best the Super Eagles had attained in the global showpiece is getting to the Round of 16 on three occasions and losing to European oppositions. “It is our wish to see the team perform better, hence the theme of the seminar is ‘That Super Eagles may excel in Russia and beyond”, Eric Osagie, the Managing Director of The Sun explained to www.sportsvillagesquare.com. “We are mobilising support for the Super Eagles”, says Eric Osagie, MD of The Sun Publishing Limited. The Nigerian team scaled the group stage in 1994, 1998 and 2014 before losing to Italy, Denmark and France respectively in the round of 16. However, three African countries had crossed that barrier into the quarter finals and were at the brink of even getting to the semi-finals. Cameroon performed the feat at Italia ’90 and were at the brink of semi-finals in the tie with England before a late penalty kick saw their aspirations going into smokes. Senegal debuted in 2002 beating defending champions 1-0 in the opening game just as Cameroon did in 1990 and eventually got to the quarter finals before losing 1-0 to Turkey after extra time. Ghana also did the same thing and were even closer to the semi-finals before losing to Uruguay. 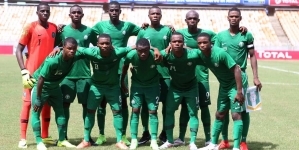 “Our aspiration is not just to see the lead brand of Nigerian football getting through to the second round and exiting, we need to equal the feat already achieved by other African countries and even getting beyond that. “That explains why we added the phrase ‘beyond 2018”, Osagie explained. One of the proposed key speakers at the event, Mallam Nasir Danladi Bako, a veteran broadcaster and former Director General of National Broadcasting Commission, spoke in similar vein. Danladi Bako: : “For me, the seminar is very timely and a bold attempt at galvanizing public support and awareness for Super Eagles”. 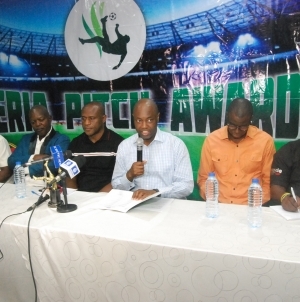 He commended The Sun for organizing the seminar which will further galvanise support for the Super Eagles. Bako, the originator of ‘Morning Ride’ and Master Sports on the NTA2, Lagos in the early 1990s confirmed he would be attending the seminar holding in Port Harcourt. 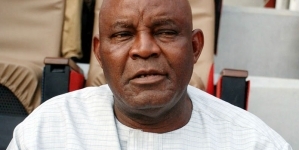 He described the seminar is an audacious attempt at galvanizing public support for the Eagles. In his words: “For me, the seminar is very timely and a bold attempt at galvanizing public support and awareness for Super Eagles. “More importantly, the effort is a brainchild of one of Nigeria’s most widely read newspapers. “I have had the privilege of attending five World Cups and I would be in Port Harcourt to bring my knowledge and experience to bear at the conference” said the Kogunan Sakwatto. A good one from Eric Osagie and the Sun family. Forward looking, that is.